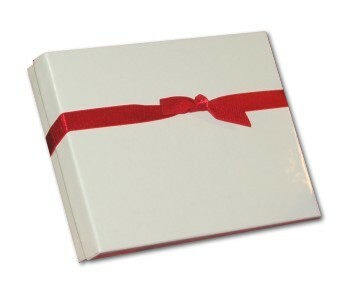 What a treat for a couple that enjoys the great outdoors together! The black bear family of 2 personalized Christmas ornament features a pair of bruins on their way across the lake to their holiday cabin, decorated tree and lots of gifts on board. Sporting adorable design and plenty of seasonal color, these couples ornaments personalized from Russell Rhodes include names and the year, which an artist will paint on by hand where shown, though in stylish lettering. 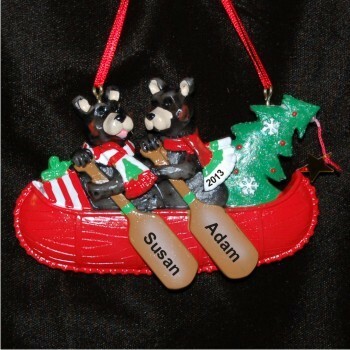 Surprise your sweetie with a fresh, new ornament for the tree or offer a fun gift to friends - the black bear couple canoe personalized Christmas ornament!